Percos Hair Serum is an effective hair care product which is recommended for the treatment of dry and damaged hair and gives our hair a glossy look. COMPOSITION: The serum is composed of root strengthening compounds like Apigenin, Oleanolic acid, Ginseng root extract,and Pisum Sativum. The basic function of any hair serum is to form a protective covering over the hair and give our hair a nice shiny and glossy look. Because the serum makes the hair soft and smooth it helps to treat dry and damaged hair. 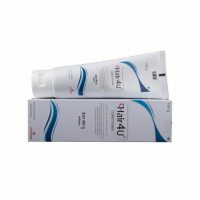 It is one hair care product available online and it helps to strengthen the hair and the roots and prevents hair breakage by making them soft and silky. Since Percos Hair Serum reduces hair breakage caused due to tangles in our hair it is also helpful in controlling hair fall. 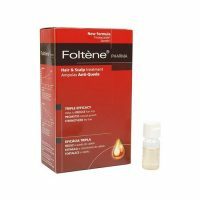 Therefore, It is not only give a healthy shine and gloss to our otherwise dry and damaged hair but is also elemental in controlling hair loss. HOW TO USE: The method of application of the Percos Serum is quite simple. Just take a very small quantity about 2-3 drops in the palms and gently apply over the area which is bald. Gently massage the serum into the scalp. To see the desired results it is recommended that it should be used regularly. CONTRAINDICATIONS: There are no known side effects and Percos Hair Serum is a safe product to be used besides being effective in its role .